It doesn’t really matter whether you’re still a beginner or already a pro in playing the guitar, a practice amp is still one of the things you should have in your music trunk. Of course, if you want to enhance the look of your home or office, you’d definitely need good cleaning services; similarly, enhancing your guitar skills would also entail good practice equipment for the instrument. Let’s face it, practice amps are quite underrated; they are not given the credit they deserve mostly because musicians only bring in louder and bigger amps on stage. Still, behind those expensive amps that rock gigs and concerts, practice amps have their own place in a musician or an aspiring musician’s lounge. Many guitar players have used practice amps back when they were still beginners and even after they become pros. Indeed, practice amps help them shape and sharpen their skills in playing the guitar. That being said, here are some of the top reasons why a practice guitar amp should definitely be on top of your list. Why Get A Practice Amp? Practice amps are the best beginner amps. Before taking on large and super loud amplifiers, which you might have seen in KISS or Guns N Roses concerts, test the waters with smaller amps first. Practice amps are great for beginners since they’re much cheaper and therefore, they’re a good choice for someone who’s still starting. Although practice amps are perfect for those who are still starting, this does not mean that practice amps are exclusively for beginners only. 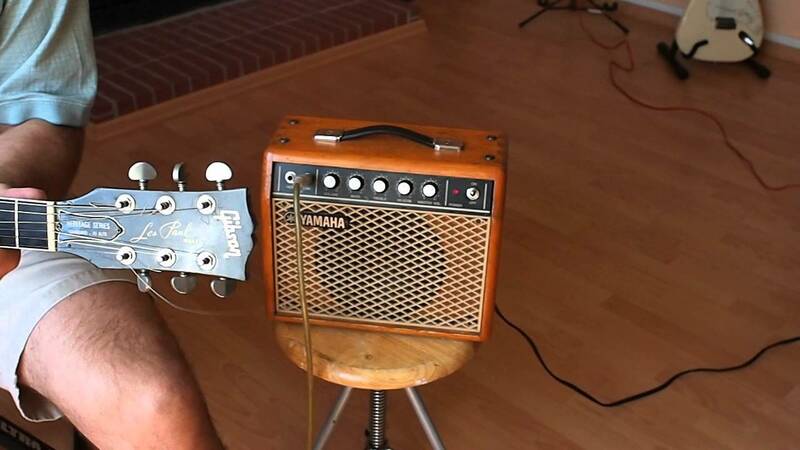 Guitar players, of any level, may still find a lot of uses for a smaller practice amp. For instance, guitarists who are on tours may use these smaller amps when they’re moving around the country. Guitarists who have gigs and concerts may also use these practice amps backstage to test out the pieces they’ve been practicing. Another great feature of smaller amps is the fact that they are great for recording. Compared to amps with super loud volumes which may damage the recording, smaller amps, especially valve ones, tend to produce better sounding tones. Large amps are perfect for concerts and gigs but for recording, smaller amps get the job done. Practice amps are small, compact, and portable; they’re very easy to carry around. The convenience they offer is definitely a top reason why guitarists should get one. It’s great for guitar players who are taking trips as it makes the travel much less hassle. Affordability is also a great giveaway from smaller amps. If you’re not willing to spend lots of cash on an amplifier then a smaller, practice amp is the best choice for you. You won’t spend much but you still get a great amp experience. For those of you who love to play at home and for those of you whose walls are not so sound-proof, a practice amp is what you need. It’s time to say goodbye to family members and neighbors complaining about the noise. Without a doubt, practice guitar amps are definitely worth trying out if you want to continue improving your skills. If you’re interested to know more about the best practice amps, take some time to read this review.